Dare to be different this Christmas and host your own scary skulls ugly sweater party. 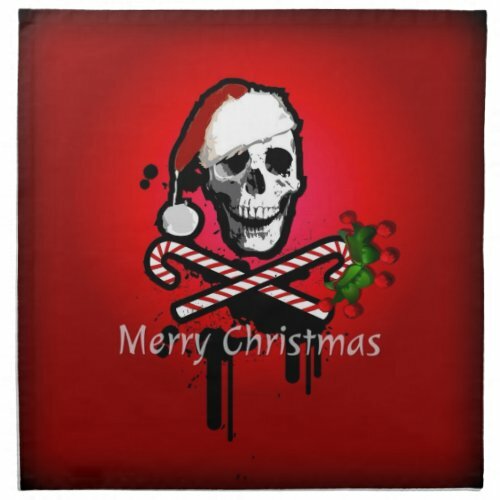 Not everyone is cheery on Christmas. 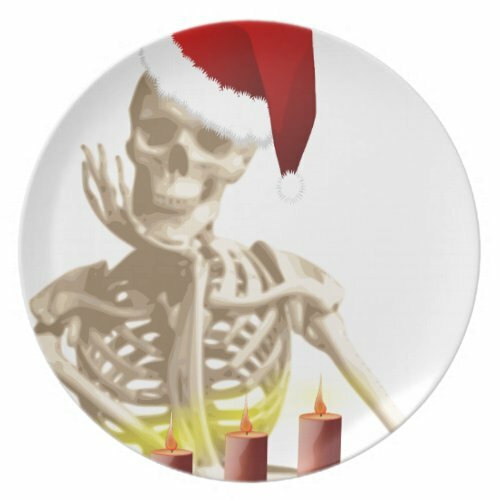 Some of us prefer a darker holiday celebration. 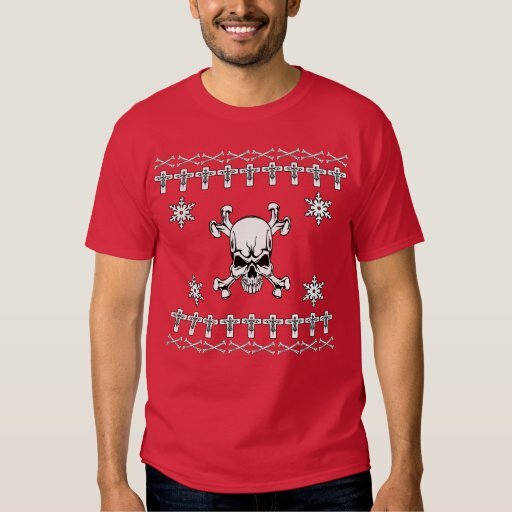 These ugly Christmas sweaters are so much cooler because they have skulls. 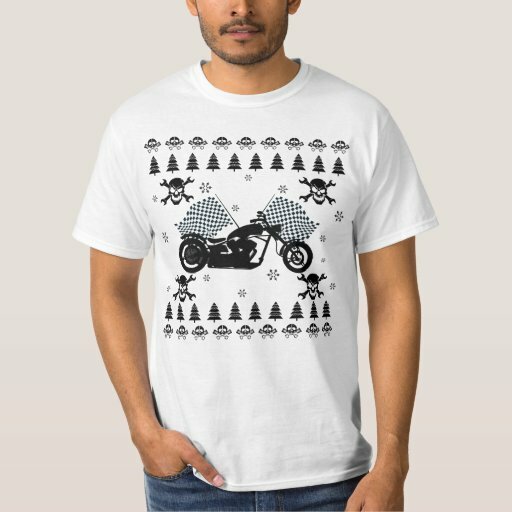 And you don’t even have to get them in black. While they are almost all available in black, you can also find many of the patterns in blue, red and green. 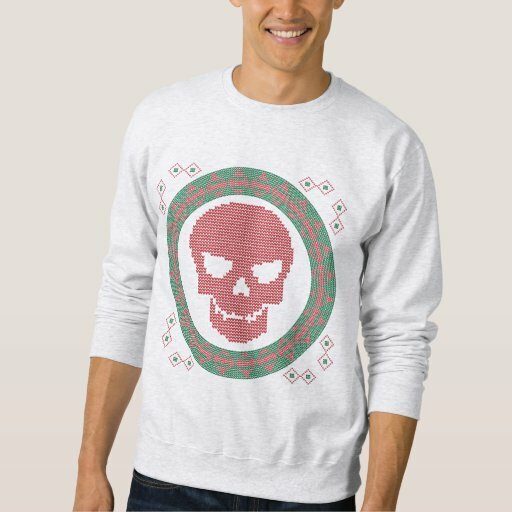 Change the tacky Christmas sweater tradition in your household to a scary Christmas sweater tradition. 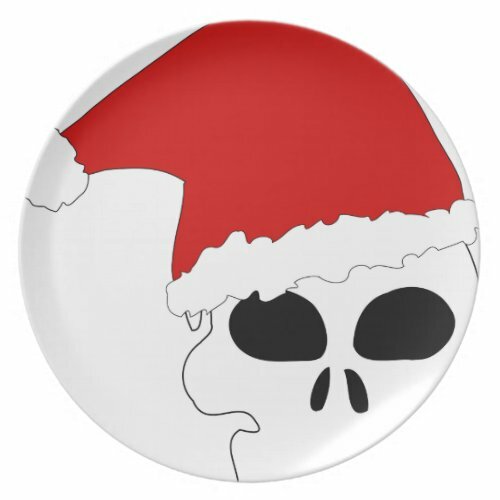 Invite all of your friends to a spooky Xmas party with gothic-style decorations and invitations. 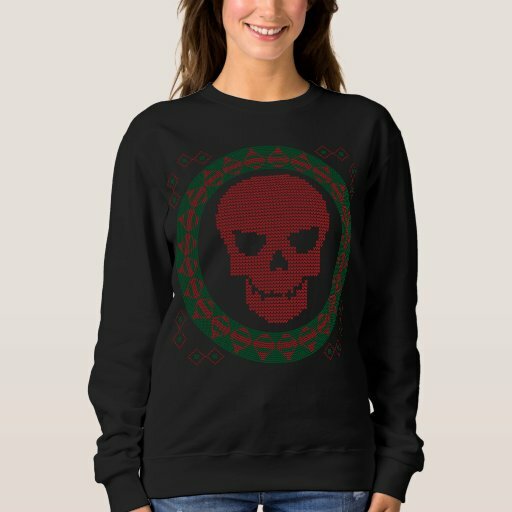 This page shows several examples of skull sweaters, sweatshirts, t-shirts, invitations and party supplies. However, you can start here and click through for even more inspiration, ideas and selections. 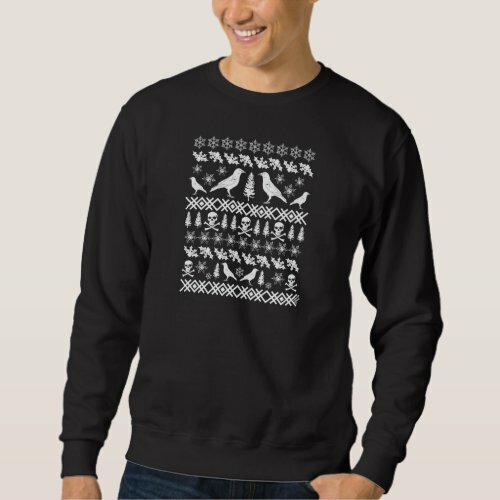 Many of the men’s sweaters, tees and sweatshirt are unisex, but sometimes a girl’s gotta have a sweater that’s all here. These sweaters and the hat are totally in vogue while staying gothic during the holiday season. 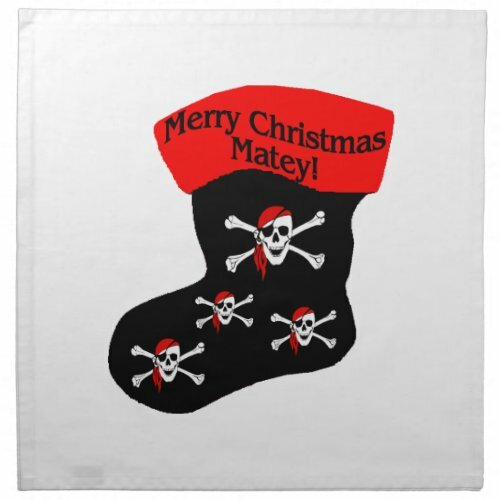 Why should you stop being cool just because everyone else is in red and green. Each of these times comes in several sizes, and the cardigan shown in blue and green comes in red and black also. 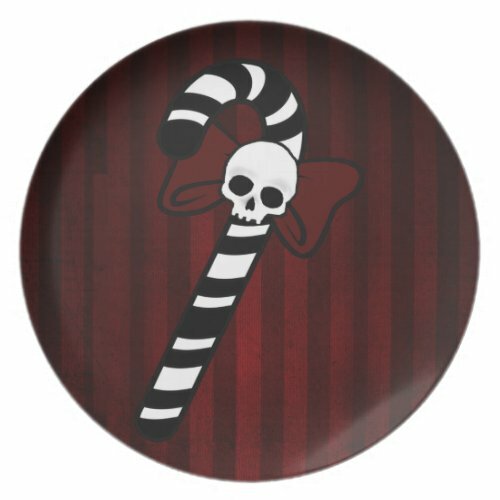 Click through for more information and measurements. 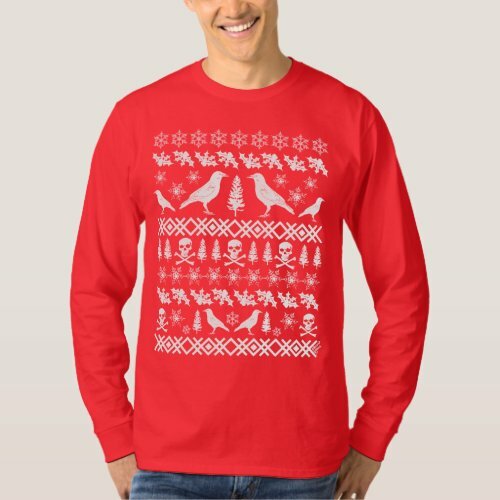 All of these items are listed as men’s sweaters, but most are unisex. 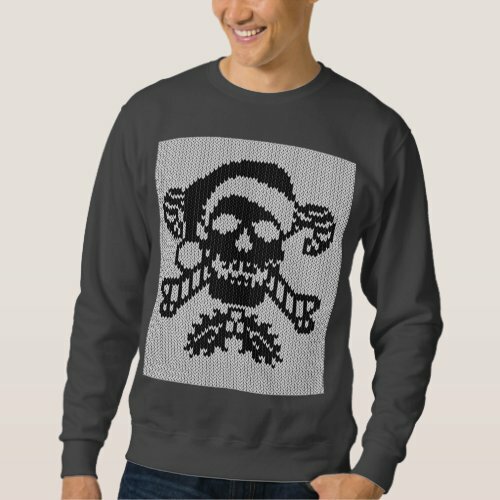 There are far more sweatshirts and tees in these skull designs than there are sweaters, but you can find them if you look. 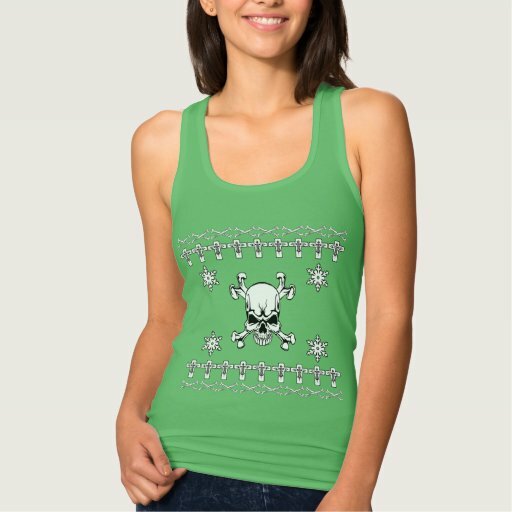 The beanie hat is adorable and can certainly be worn by women and teens. 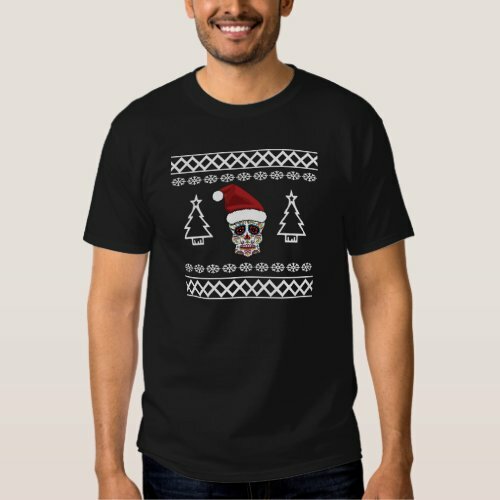 For people who prefer sweatshirts, you will find loads of fun skull Christmas sweatshirts. 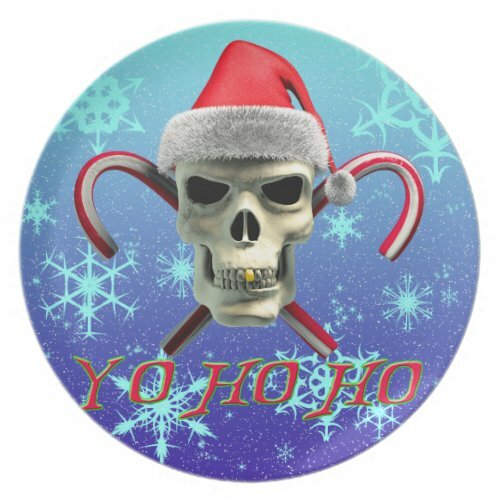 Some of them say “Scary Christmas” on them, while others just have the skull pattern. 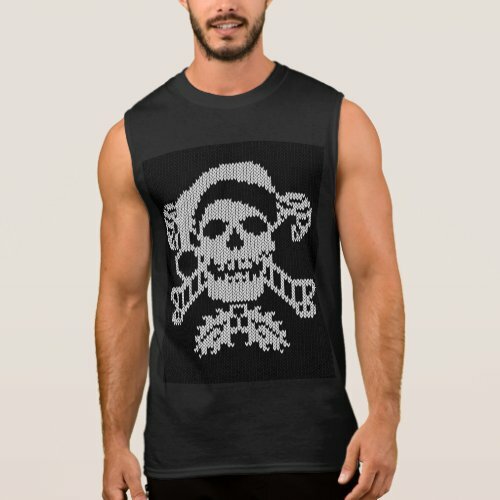 You can also find pirate skulls with pirate themes. 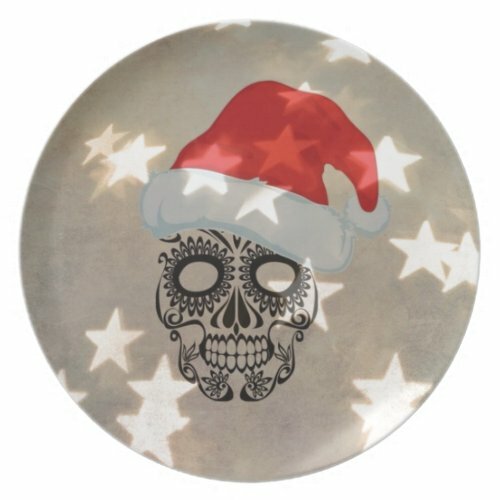 There are some really cute designs here including the skull Xmas tree. 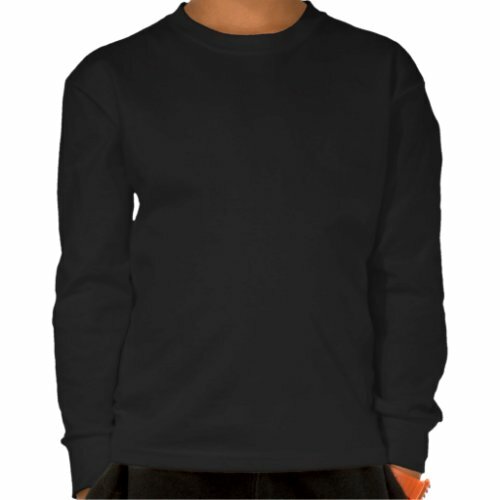 Sweatshirts are available in several sizes. 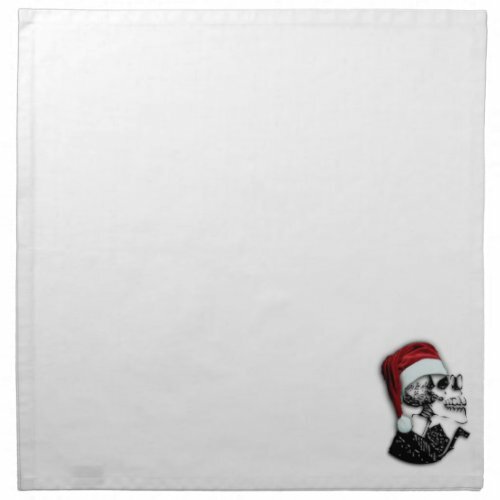 If you want to carry the skull Christmas theme further with party supplies, here are some napkins and plates with Christmas skull motifs on Zazzle. 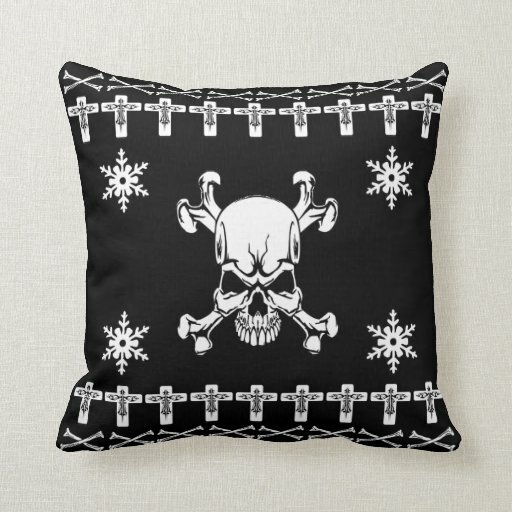 Zazzle allows you to personalize items, so you can add a saying or name to theses. 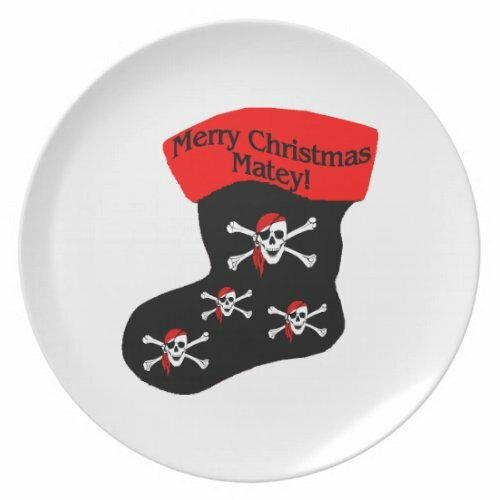 Most have matching plates, and you can click through to Zazzle for other matching items. These skull Christmas t-shirts are a hoot, and you can find them in all kinds of colors and sizes including infant onesies, rompers, men’s, women’s and kids sizes. 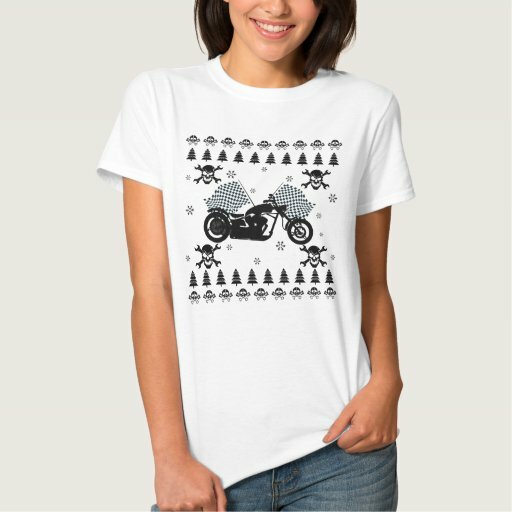 Lots of cute designs from Amazon and Zazzle. 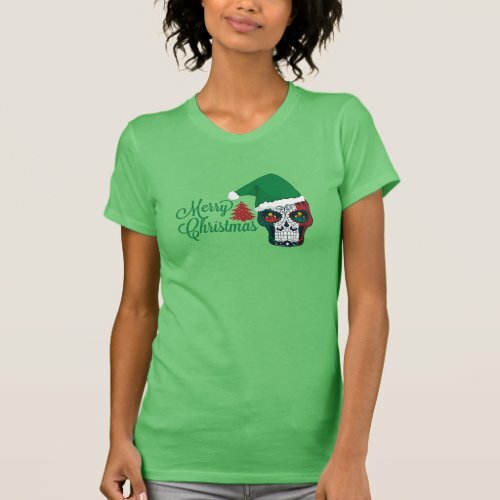 Look for additional sizes and colors by clicking through. 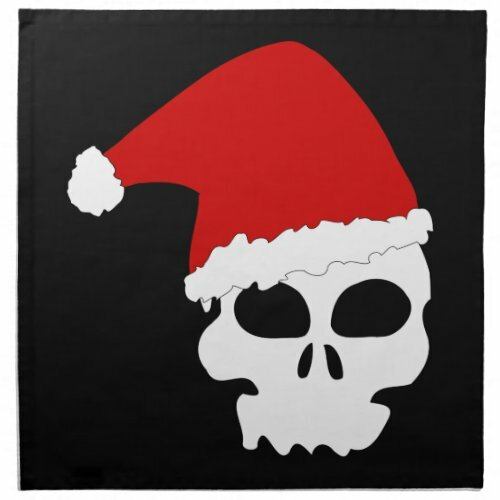 Don’t forget to invite people to your skull Christmas party. Some of these invitations match the plates and napkins shown above. Others are different. 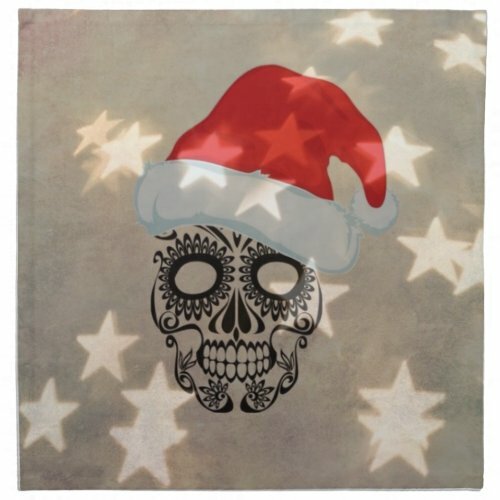 You can personalize these invites with whatever information you want, and on some you can add your own images. 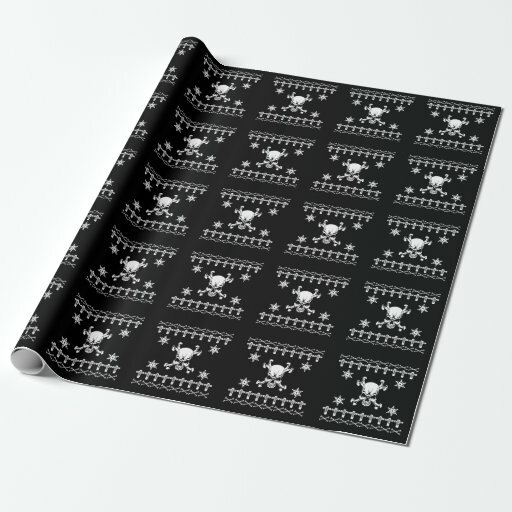 Or in small quantities or in bulk for better pricing.